We are all familiar with Christmas Carols featuring the Latin words ‘Gloria in excelsis Deo’ as a refrain. How many of us, however, speak Latin? The translation of these words is ‘Glory to God in the highest’. As Easter time is swiftly approaching, these beautiful words ring in the hearts of Christians throughout the earth. But what is the history behind this familiar phrase? How many different composers have used this line, and many other familiar ones, in their music to capture the praise and worship of human hearts to their creator? The Chesapeake Choral Arts Society sought to answer these questions and more with their compilation of beautiful music in “A Glorious Concert”, performing April 13-14th at St. Joseph Catholic Parish Center. The Chesapeake Choral Arts Society, directed by Carol Charnock, is a choral group in Southern Maryland that boasts over 50 members. This talented chorale and their incredible conductor Leroy Pressley never fail to impress audiences with their musical abilities, always seeking to give audiences a true appreciation of music. Much like an entry level music appreciation class I took in Jr. college, this group gives history and setting to each piece they perform. 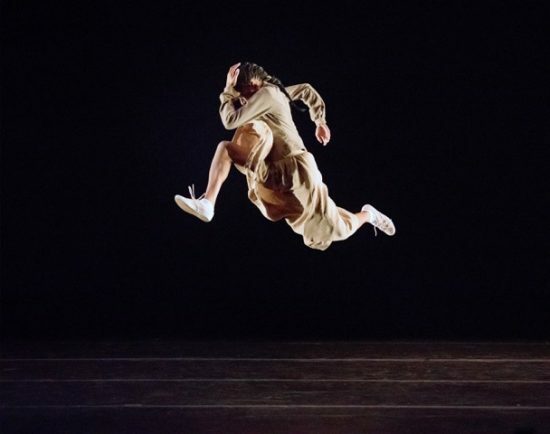 They travel through time on the rhythms and movements of each piece as the audience literally hears music change and grow through history. I think this is a truly dynamic way of presenting a concert, as I often listen to music without truly comprehending the meaning behind the notes. “A Glorious Concert” is no exception to this rule. The group used famous art for this performance as a visual for the texture and predictability of their featured pieces, while also helping us to classify that music based on its respective period. I had never thought about how the Mona Lisa represented the texture of music in the Renaissance period, but it makes perfect sense! Featuring familiar compositions by well-known composers such as Hadyn, Schubert, and Vivaldi, “A Glorious Concert” also brings some new favorites to the stage. Staging “Benedictus” by Emily Crocker, “Gloria” by Arnold Freed, and a piece arranged by the choir’s very own W.G. Pete Stokes, this choir brings a wonderful blend of familiar and unfamiliar. Stokes outdid himself with his arrangement of “The ‘Gloria’ Variations.” I was amazed how, even though the lyrics were repetitive, the music would change the meaning of those words each time they were sung. It was a very complicated piece to my ears, but the performance was flawless and effortless. 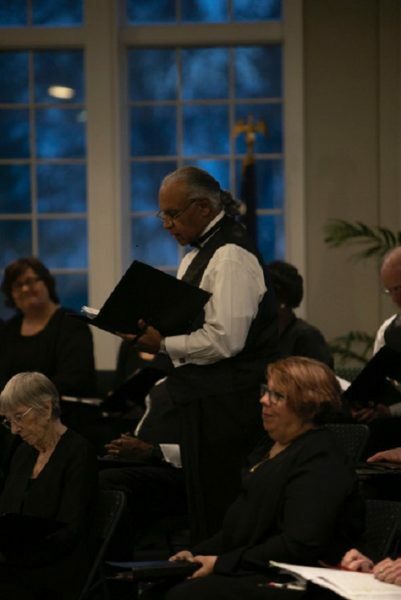 From the moment that the Chesapeake Choral Arts Society first graced the stage to the moment they sang their final note, the cacophony of sounds was indescribable. The two featured soloists featured in the performance were breathtaking. Amy Statz Dolan (soprano soloist) and Hannah Baslee (alto soloist) performed with great reverence and astounding vocal control. The choir offered an anchoring sound to the talented twosome, accompanied by a very talented orchestra of musicians. The orchestra was incredible! Usually, the chorale is solely accompanied by magnificent accompanist Josh Cockerham. However, to truly do justice to these incredible compositions, a brass ensemble and chamber orchestra was incorporated into a few of the pieces. They never missed a beat, were perfectly pitched, and added an incredible layer of depth and sound to the performance. Kudos to these incredible musicians for sharing their talents with the audience, and I hope the choir will do this again! Regardless of your religious affiliation, Chesapeake Choral Arts Society’s performance will touch your heart. The choral sought to remind us to rejoice in our life every day of the year. Each piece was carefully chosen to evoke joy and encourage the audience to be thankful. As I sat in my seat, time and time again I heard the audience members around me utter “Wow” and “incredible” after each piece. My favorite response I heard came after the conclusion of Vivaldi’s “Gloria.” The woman behind me whispered in awe, “simply glorious,” again and again. Truly, it was. I highly recommend you see this show, and if you miss it go check out the next one. This choir never fails to provide a night of unforgettable musical excellence, beauty, and history. Advisory: Beautiful music, stunning vocal performance, great for anyone. Running Time: Approximately 2 hrs with a 10 minute intermission. “A Glorious Concert” will be performed by the Chesapeake Choral Arts Society at the St. Joseph Catholic Parish Center in Pomfret, MD April 13-14, 2019. For more information, or to purchase tickets, please see here.